Houston Rockets head coach Mike D’Antoni remains hospitalized since Friday, but has improved enough from his intestinal virus to hope to be released today. D’Antoni has missed the Rockets’ last two games due to the illness. The 2017 NBA Coach of the Year hopes to be released from the hospital Tuesday but won’t return for the team’s regular-season finale against the Oklahoma City Thunder that night. Rockets assistant Jeff Bzdelik has coached the team the last two games, both of which resulted in blowout wins over the New York Knicks and Phoenix Suns. 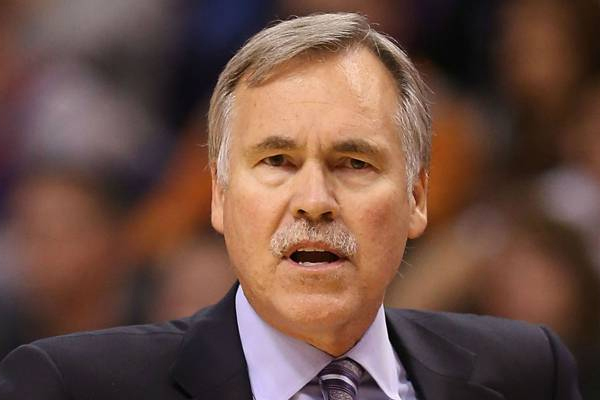 Bzdelik credits D’Antoni for those wins. Houston is still in play for the Western Conference’s No. 2 seed.